Pastor C. Jermaine Turner is a native of Harvest, Alabama. He is the son of Randolph Neville and Ms. Kathy Turner. He is married to Mrs. Antoinette Stewart Turner and they have three children, Chancellor Makel, Christian Anthony and Jacob Braxton. Pastor Turner is a graduate of Sparkman High School, Harvest, Alabama. He received his Bachelor of Arts in Psychology from Alabama Agricultural and Mechanical University, Normal, Alabama. 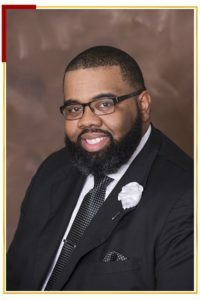 Pastor Turner received his Masters of Ministry degree in December 2010 and was awarded his Masters of Divinity degree from Temple Baptist Theological Seminary, Chattanooga, Tennessee on May 10, 2014. In December 2016, Pastor Turner received his Doctorate of Ministry with emphasis in Black Church Leadership at the Southern Baptist Theological Seminary. At the age of five, Pastor Turner accepted Christ as his Lord and Savior and united with the Turner Chapel C.M.E. Church, Toney, Alabama, under the leadership of Pastor Adolphus Elliot. At the age of eighteen, he acknowledged his call to the preaching ministry. Following the leadership of the Holy Spirit, Pastor Turner moved his membership to the Mount Zion Missionary Baptist Church under the pastorate of Reverend Richard Hamlet. Under the leadership of Pastor Hamlet, Pastor Turner was licensed and ordained. In 2004, Pastor Turner was elected as Pastor of the Union Hill Missionary Baptist Church, Elkton, Tennessee. 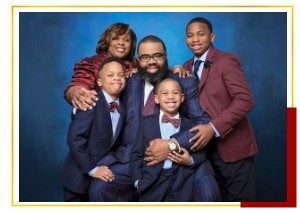 In 2009, Pastor Turner accepted the position of Assistant Pastor of the Pine Grove Missionary Baptist Church under the pastorate of Pastor Dave McGlathery. Currently, Pastor Turner serves as Senior Pastor of the Pine Grove Missionary Baptist Church, Harvest, Alabama. Pastor Turner enjoys sports and is a member of Alpha Phi Alpha Fraternity, Incorporated.